Lovers of traditional music converged on the National Opera House, Wexford on St Patrick’s Day for a live broadcast of RTE Radio 1’s Céilí House programme. The three hour show, presented by Kieran Hanrahan, featured a selection of the county’s top traditional musicians along with some very special guests including Muireann Nic Amhlaoibh and Colm Mac Con Iomaire. While the show attracted a great turnout to the National Opera House it also went out live to a national and international audience through RTE Radio 1’s FM and online broadcast. Aisling White, Operations Manager at the Opera House, was unequivocal in her praise of the show describing it as a great success and as giving “great coverage to Wexford and the talent we have within the county”. The show opened with a large troupe of musicians from Bannow CCÉ / Danescastle Music Group under the watchful eye of Áine Kennedy. Embedded in their ranks were the award-winning Scór and Siansa Gael Linn groups. The sheer virtuosity of these young musicians and the obvious and unabashed enjoyment they get from playing together is a joy to behold. Their set included a stunning instrumental version of Boolavogue and the south Wexford favourite Trip to Cullenstown, composed by the late Phil Murphy. An order should be issued immediately appointing Wexford Harp Ensemble / Cruitirí Loch Garman as Wexford music ambassadors. That the group is so spectacularly good is down to the diligence and perseverance of teacher, musician and composer Aileen Kennedy. They wowed the audience with a short set of tunes composed by Aileen: Molly’s Balloon, An tAthair Báistí and The Middle East Mazurka. They were joined by special guest Muireann Nic Amhlaoibh for the song Seoithín Seothó. Aileen and fellow harpist Aoife O’Donnell stayed on to contribute to a highly varied and entertaining set by Gorey / Ballygarrett CCÉ which started with Michael McGoldrick’s Farewell to Whalley Range and finished with some rip-roaring polkas. Tuaisceart CCÉ may have had the smallest of the ensembles in the first hour of the show but they created a huge sound. Introduced by popular teacher and musician Sinéad Tobin they blitzed their way through a hot set of jigs, reels and the unusually titled Auchtermundig March. A mid-set slow air, Gealtaí Baile Buí, played by Sinéad on whistle, Áine Neary on fiddle and Mandy O’Callaghan on piano provided a nice interlude of calm in what was a lively end to the first half. The show recommenced with violin supremo, composer and music improviser Colm Mac Con Iomaire. The Frames founder member creates music which is worlds away from that which he would have played on the road with Glen Hansard and the lads. It is utterly unique, almost pan-European sounding, grounded deep in the soul of the Earth. His music so effortlessly conjures images to life it is no surprise that he is in demand as a film score arranger. Easy to see why The Irish Times described his music as “effortlessly cinematic, conjuring images of weather-beaten coastlines and vast green expanses”. His playing of the gorgeous Scandinavian-tinged The Finnish Line saw all his many talents dove-tailing to wonderful effect. Colm was joined for this one-off performance by Catherine Fitzgerald (keyboard) and bouzouki players Frank Tate and Ian Doyle, the latter of The Man Whom. Most of the tunes performed came from his highly lauded album And Now The Weather (Anois An Aimsir) including the set-closing Farewell to the Sea. For the traditionalists in the house he included a lively playing of the Connachtman’s Rambles along with a couple of jigs. The task of turning the dial back up to 11 went to The 3 Ds, a talented young trio from New Ross. 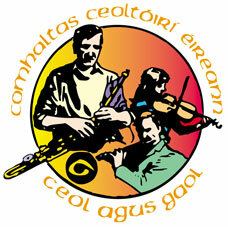 Eoghan Doyle (uilleann pipes), Eoin Doyle (banjo) and Daragh Doyle (banjo, bodhrán) are members of Craobh Loch Garman CCÉ. Spokesman Eoin the banjo player introduced the group and gave presenter Kieran Hanrahan a quick run-down on the trio’s back-story. Then without further ado the boys lashed into the Drunken Landlady and on into The Mountain Road. Less than ten minutes later, with their national broadcasting debut behind them, the trio stood to take the tumultuous applause of an appreciative house. There was a poignant note in proceedings as Kieran Hanrahan recalled the passing earlier in the week of the musician Liam O’Flynn. Wexford uilleann piper, Mark Redmond, who, just the day before, had performed at Liam’s funeral service, spoke of the huge musical legacy he left and how he influenced the current generation of pipers. In tribute, Mark performed the slow air Aisling Gheal. The star attraction of the evening was Muireann Nic Amhlaoibh. The former front woman of Danú was joined by multi-instrumentalist Gerry O’Beirne and fiddler and leader of the Irish Memory Orchestra Niamh Varian-Barry. The trio delivered a thoroughly entertaining set of music and song interspersed with Muireann’s many witty deviations. With a voice that in ways echoes that of Dolores Keane at her best Muireann charmed the audience with her opener Bríd Óg Ní Mháille. Two of the best received songs of the set involved soldiers, Johnny’s Gone for a Soldier and I Courted a Soldier, with Mark Redmond guesting on the latter. Gerry O’Beirne’s singing of his own The Lights of San Francisco was very well received. Niamh Varian-Barry showed off her fiddling skills on the tune Gerry Barry’s from her forthcoming solo album Wings. Muireann, on flute, led the group into a tasty trio of reels - Ormond Sound, The Torn Jacket, The Heathery Breeze - with Redmond and Tuaisceart’s award-winning bodhrán player Paddy Doyle joining in. With the clock rapidly counting down there was just time to wrap it up with a few roof-raising polkas before the curtain came down on a great evening of traditional music. “This is exactly what we needed as we prepare to make our bid for Fleadh Cheoil na hÉireann 2020” said Craobh Loch Garman Chairman Matt Murphy. He described the event as a major shot in the arm for traditional music in Co Wexford and a timely acknowledgement of the wealth of talent in Wexford today. He went on to thank Councillor Ger Carthy and John Carley of Wexford County Council for all their help and support in organising the show.